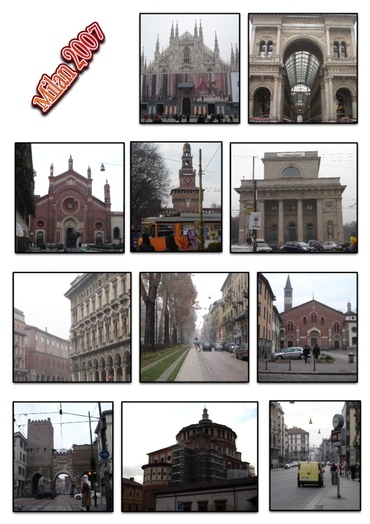 What’s the cuisine of Milan like in a nutshell? Italian cuisine is mainly based on fresh produces from the earth and the sea. We eat a lot of vegetables, meat, poultry and game as well as fish. We use all these genuine ingredients in many different ways, but especially we try to bring the real flavour of each at its highest point. This is reflected even in the restaurants scene. We have some Michelin starred chefs, as Carlo Cracco, at Cracco Peck, via Victor Hugo 4, considered one of the most interesting European chefs. The restaurant scene in Milan is quite sad, there are a lot of restaurants, but the majority are overpriced for food and service. Foreign cuisine is well represented by Japanese cuisine, especially sushi, which is still very popular. And the positive fact about it is that you can find very good sushi, indeed. What’s the current food trend in your city? At the moment there isn't a specific trend for food in Milan. For the past few years we’ve been trying to rediscover typical and regional ingredients and we attempt to stick to seasonality. There are some traditional dishes you shouldn't miss, for example Risotto alla milanese con ossobuco: a complete meal of saffron risotto and braised veal chunk, served with gremolata (a mix of anchovies, garlic and lemon zest). If you come to Milan in December, you shouldn't go away without buying Panettone either, a sort of brioche with raisins and candied orange. What are the food oddities in your region? Sanguinaccio (pig blood with fat in cylinder shapes), lamb brain or insides, lamb or really young pig for some (even for Italians) represent cruel and inedible food… But for me they are just DELICIOUS!!! What’s the Milanese’s attitude to food? Dining out in Milan is still something that is done often and with gusto. But pre- dinner gatherings, called aperitivi, are the most fashionable thing to do right now. The main problem of such experiences is that the buffets normally offer plenty of food but of poor quality, and there are only few addresses that are worth it. What to be aware of when dining out in Milan? Usually in Italy you don't leave any tip, as everything you should pay is included in your bill. There isn’t a specific dress code: as long as you'll pay your bill nobody will disagree with your outfit! Since January 2006 it is forbidden to smoke in public places, such as restaurants, pubs, bar, practically anywhere except in the open. Many bar and restaurants have outdoor tables, where it is possible to smoke. Oftentimes it may be better to book the restaurant at least the night before, especially Fridays and Saturdays nights and if you are a big group (let's say more than 5 people), but most of the time you can just show up and ask for a table. In Milan, the Italian city of shopping, you can of course shop for everything! The best addresses for food shopping is Peck, via Spadari 9, very near the Duomo. And of course there are the street markets, where you can shop for vegetables, fruits, but even meat, fish and clothes. What food should I to bring home from my trip? If you come from December to January, don’t go home without panettone: it keeps well for a few months. During the rest of the year, try some of our excellent preserves: you can find high-quality pesto or sundried tomatoes in olive oil. But even pasta, vacuum packed Parmigiano Reggiano… and extra virgin olive oil, of course. For most Milanese, breakfast is just an espresso on the run. If you prefer to indulge with a Marocchino (special espresso with cocoa and foamed milk) served with a chocolate teaspoon, you cannot miss Princi, the city's bakery chain also specialized in croissant, bread, speciality bread (with raisins, walnuts, cereals...) and focaccia. There are 5 bakeries all around town. Trattoria Il Ritrovo degli artisti is a tiny restaurant with simple but delicious seasonal menus. Try the outstanding Piovra al rosmarimo (Rosemary Octopus, 10€). Poporoya is a tiny sushi bar (the first that opened in Milan) with the best sushi chef in the city, Mr. Shiro. Try the outstanding chirashi or the crispy tempura. If you sit at the bar, Mr. Shiro will entertain you with many sushi stories. How about a flickr display of Milanese food? That would be great. Milan is one Italian city I have yet to visit. Maybe on my next trip! I will save this for sure. I really love these culinary city snapshots you do!